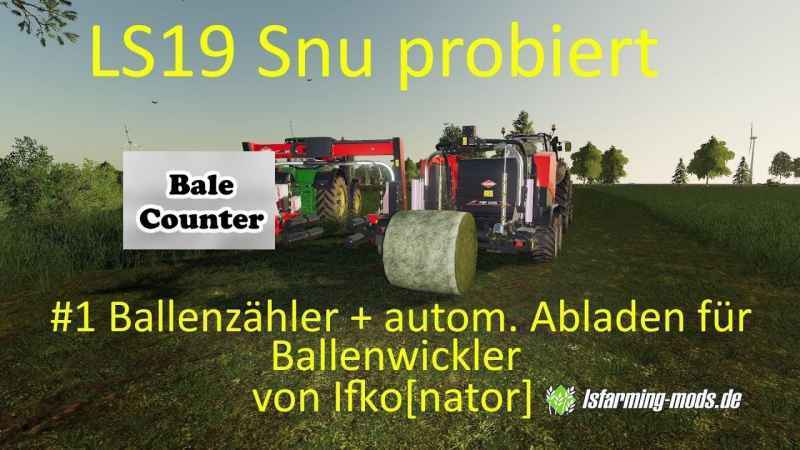 This script adds a balecounter in the help window and counts the pressed ones in presses and the wrapped bales in winders. Since the Kuhn is a compressed wrap combination, you also have both counters. But the counter for wrapped bales only goes up when they’ve really been wrapped, too. Keyboard: Left Alt + X Controller (X-Box): Lb + RB + X I have chosen extra such shortcuts so that you can reset the non-aligned.